I have written my story a couple of times for Breath on Paper and then edited and rewritten it in an effort to get it more concise. But my story is almost identical to Ruth’s. And if yours isn’t the same, it can be. I was trying to do right, making the best of the situation I was in until one day I met this older woman who changed my life. She wasn’t this great writer, phenomenal speaker or even some savvy businesswoman; but instead a sweet, gentle, godly woman. She met me where I was and she spoke Truth into my life. The first time I met her was the morning I picked my baby girl up from the church nursery and the ‘older’ lady who had held her the entire time had just shared with me that I “needed” to get my children around other people because “my child” had cried for her momma the entire hour. I felt like such a failure! I was a stay home mom with a 3 year old and a 1 year old. My husband and I had decided that I would stay home while our children were small and I was loving every minute of it. But I also knew there had to be more to what I was doing than just sitting at home playing house with my babies. I had this strong pull to get closer to God and the only way I knew how to do that was to start going to church. There I was, young, desperately trying to find God, insecure in what I was doing and clearly doing it all wrong according to the blue-haired lady serving her penitence rocking babies in the church nursery. This is when God brought Frances Farrish into my life. God sent her by the nursery door just moments after I had been reprimanded for my crying baby and God used her kind words to bring healing to my broken heart. A few kind words, a compassionate smile and a warm touch changed the course of my life. I gathered my toddler and headed home all the while contemplating this sweet woman and her words that had moved me from the verge of tears to a smudgin’ more confident. (Phooey on you Blue-haired nursery worker! Frances Farrish said I was doing just fine!) And from that day forward, I knew that this woman had something that I wanted. Has God put someone in your life that speaks Truth over you and helps you to see that God has a plan for your life? Just like Ruth, we all need a Naomi. Someone who will help us do better and be better. We all need a mentor. Mrs. Farrish changed the outcome of my life. But not just mine…my children’s lives too. 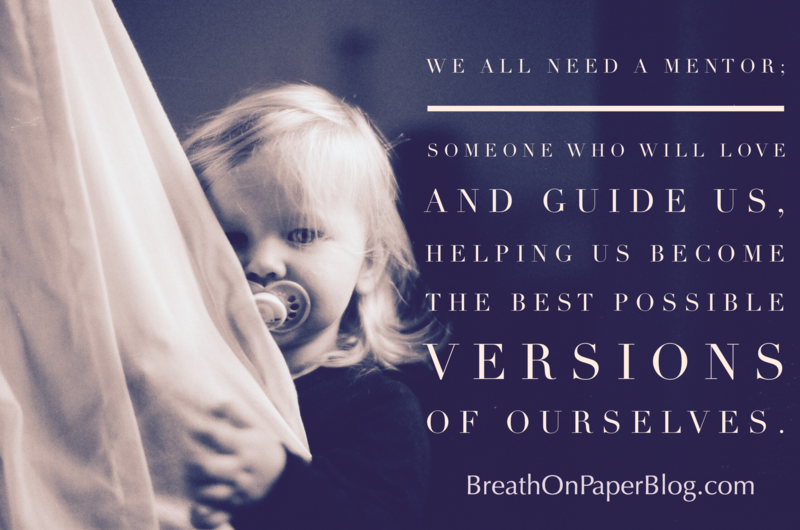 She didn’t help just me…she helped my children to have a better mommy. She helped my husband to have a better wife. She helped me to be a better friend. And most importantly, she helped me to become a better Christian. She shared practical wisdom; things like you can pray about everything. God cares about the little things in our lives. She taught me how to love my husband. She taught me how to discipline my children according to what God says in scripture. The list goes on and on…. simply too many to count. The point is…God used a lady older than me to teach me more about Him. God instructs the older women to teach the younger in Titus 2:3-5. Just like God had a Mrs. Farrish for me and Naomi for Ruth. He has someone for you too. Have you found her? Have you asked God to show her to you? Maybe the better question is who is your Ruth? Who has God put in your path to speak into her life? Even as you walk past the nursery door that you have walked past a thousand times, she may be standing there about to burst into tears until you give her an encouraging word and a compassionate smile. Have you asked God to show her to you?